Hypertension is not just a disease of aging. Young men and women can suffer from its damaging, sometimes killing, affects. Please do not take this condition lightly. Get it treated as soon as possible before it creates lasting damage and adversely effects your life as you do age. Use the special relaxation audio program regularly! Taper your high blood pressure medication after you have mastered the relaxation- biofeedback, under your physician’s care. Only on a very deep breath should these parts move in the breath. This may be the most important Hypertension Technique you can learn! If you link taking one deep breath to a reoccurring work event like a telephone ringing or checking the time, you could remember to take these slow deep breaths throughout your work schedule and keep yourself from letting the tensions build to painful or distracting levels. The secret is check in with your body in the present moment, relax your major muscles, and slow and deepen your breath, This simple exercise can have miraculous results. 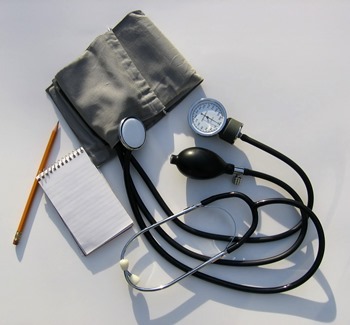 Use the Stress Management for High Blood Pressure audio program 1-3 times per day for 8-12 weeks. Use a temperature trainer on your hands to learn how to warm your hands with relaxation. When you can consistently get above 90 degrees Fahrenheit (93-95 degrees is ideal) then you can begin to master warming your feet to 90 degrees. When you can “let go” by relaxing and warming your hands and feet, you will be able to control if not prevent your panic episodes. Then you must develop the confidence in your control so the high blood pressure will not control your life.